Having the ability to divide a classroom into smaller learning rooms while absorbing sound in the process is an added bonus to any classroom. Screenflex Portable Room Dividers offer just that and more. This primary education classroom functions as a classroom, storage area, and therapy room all in the same space. 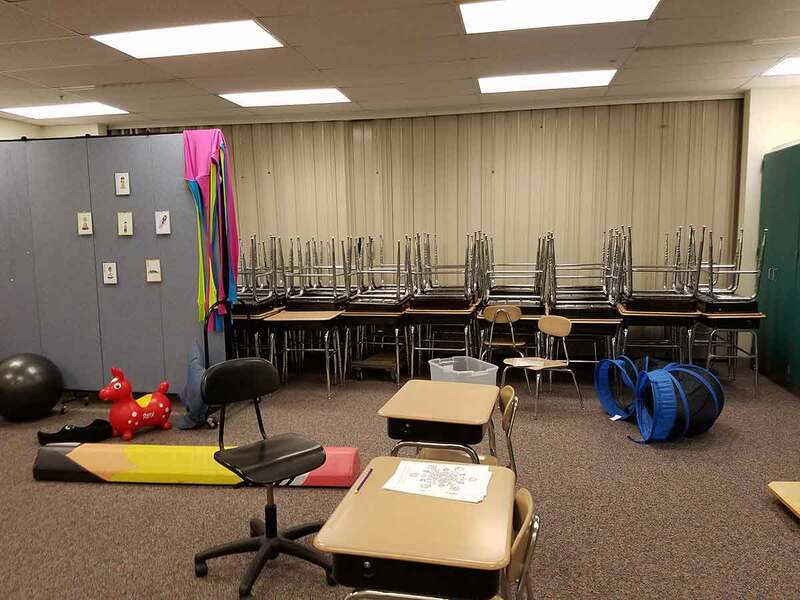 The teacher knew he needed a flexible solution to dividing his space while providing a safe learning environment for his students. His search led him to Screenflex Room Dividers. The portable walls roll on self-leveling casters to ensure a stable and secure partition at all times. He enjoys having the ability to roll the divider around the classroom to divide the space throughout the day. 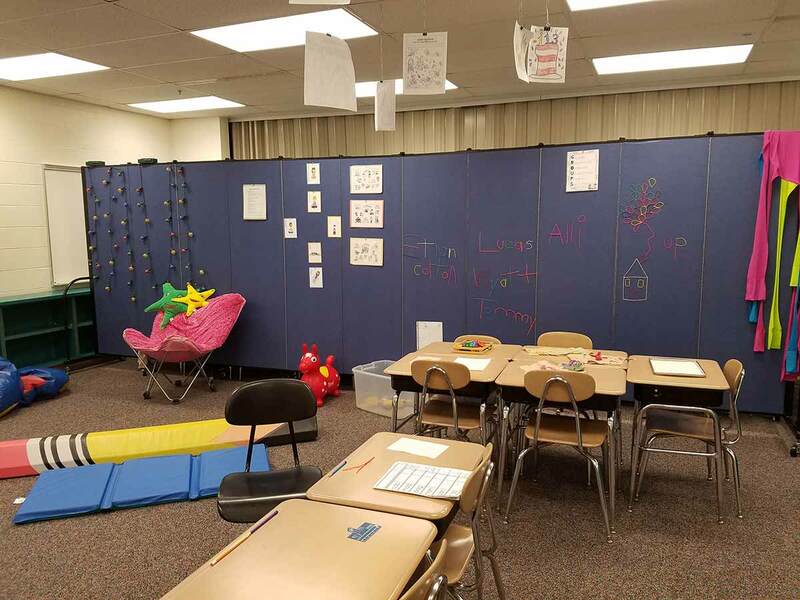 The fabric walls are tackable, which make it easy to display student artwork, decorations, manipulatives, and instructions. Most days, additional tables and chairs are hidden behind the divider in a makeshift storage area in the classroom. When additional classroom furniture is needed, the wall is rolled back to reveal the additional supplies. The staff likes the versatility the movable walls provide.